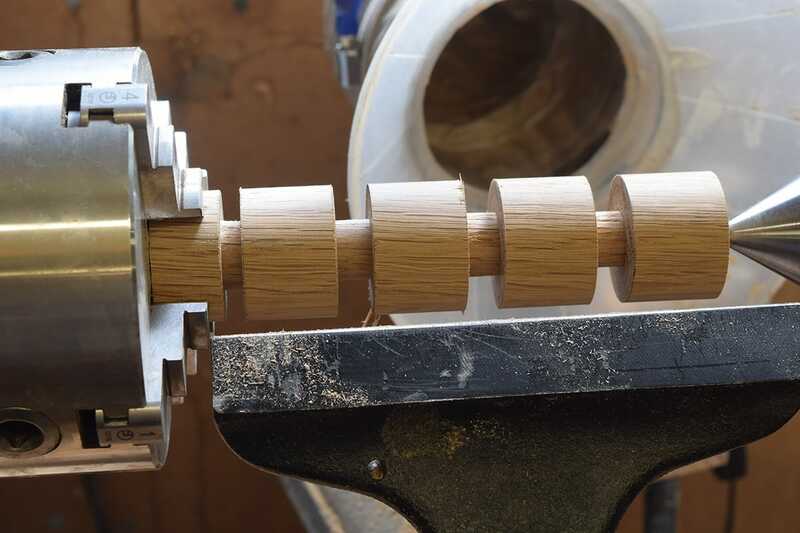 A Twin Screw Vice is a great way to support a wide piece of material, for example, when cutting wide drawers, where a standard woodworking vice fails to give support on one side. Prepare material: back 450 x 90 x 45mm, front 450 x 90 x 35 and two clamping blocks, 80 x 47 x 23mm, prepare the ends square. 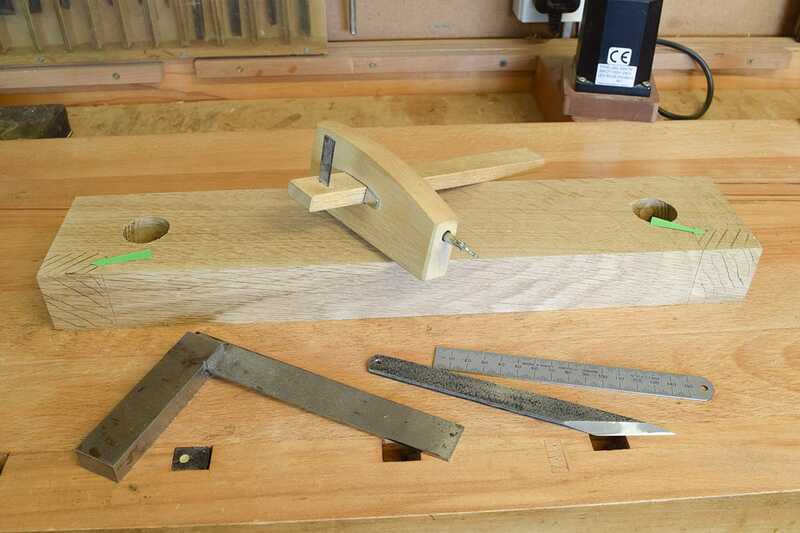 Measure centre lines (arrowed) each end, to leave 300mm width between threads. Mark the drilling centres mid way. 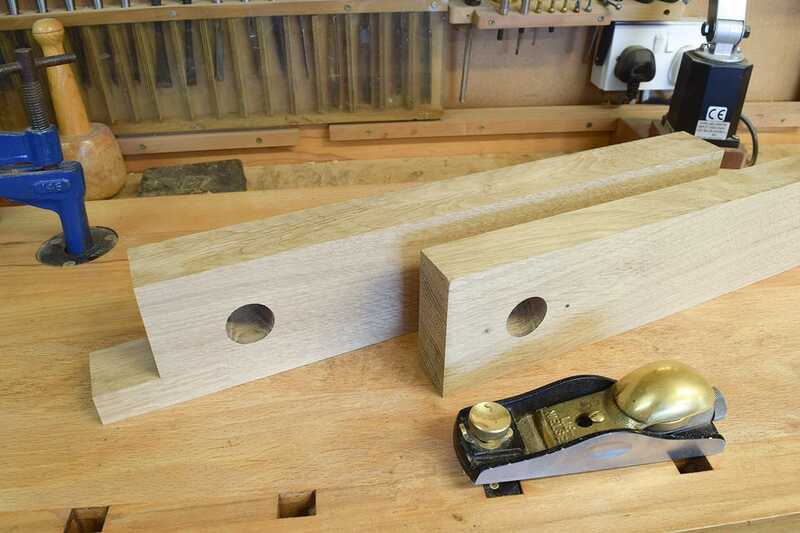 Bore 30mm holes in both blocks. 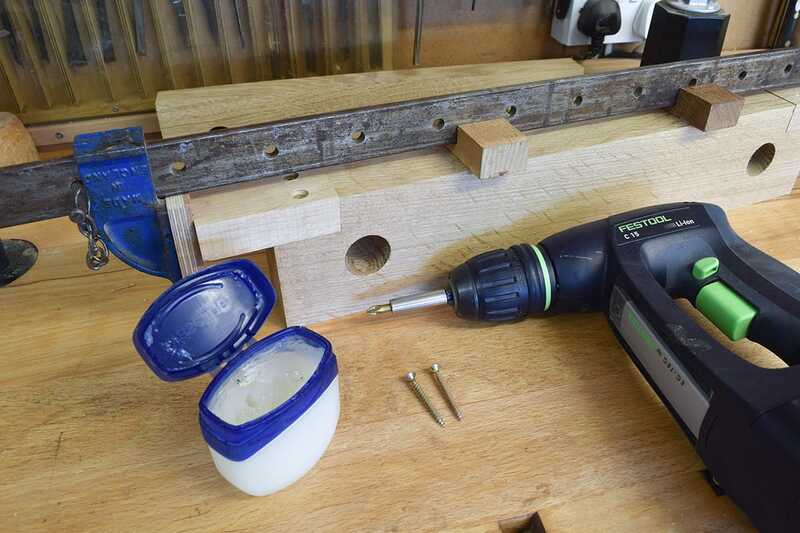 Centre screw threads in rear holes using 25mm pvc pipe. 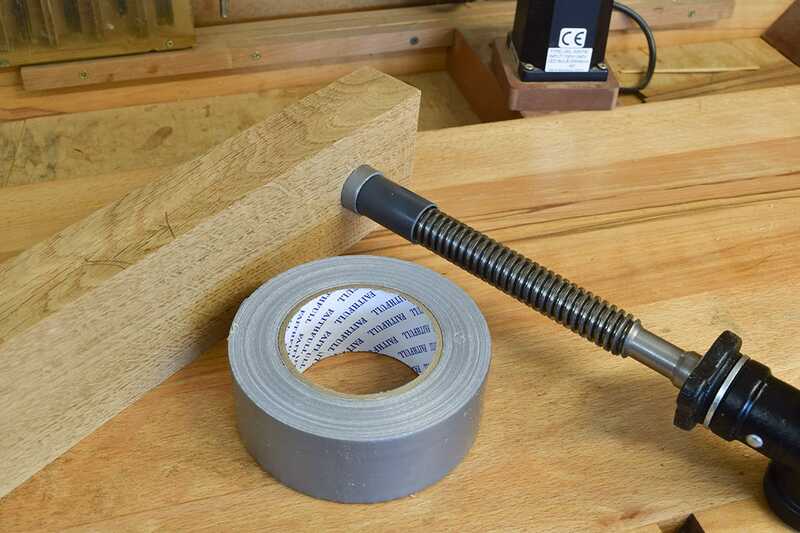 Bind the outside of the pipe with duct tape to ensure a snug fit in the hole. Screw the threaded boss onto rear of each back. Align the pencil lines, screw each threaded vice boss to the fronts. Plane, scrape and sand the top and bottom. 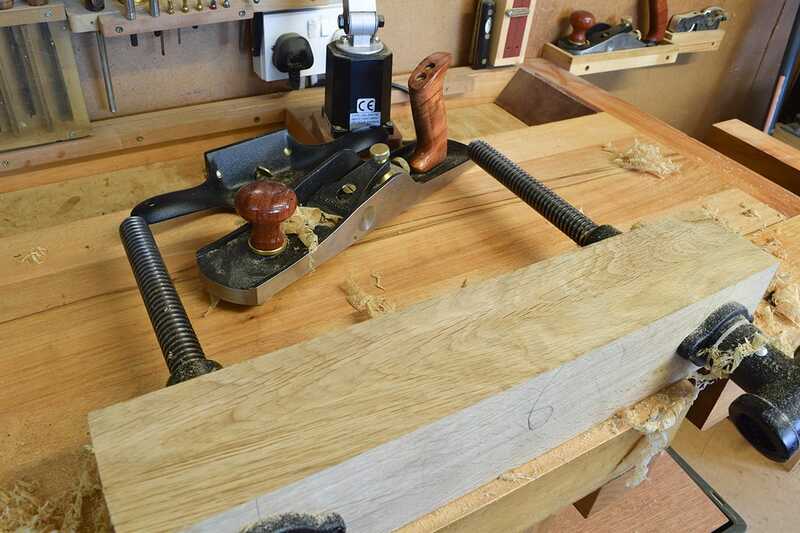 Mark out the positions (arrowed) of the two clamping blocks and remove the waste. Clean up the shoulder line on the rear block. 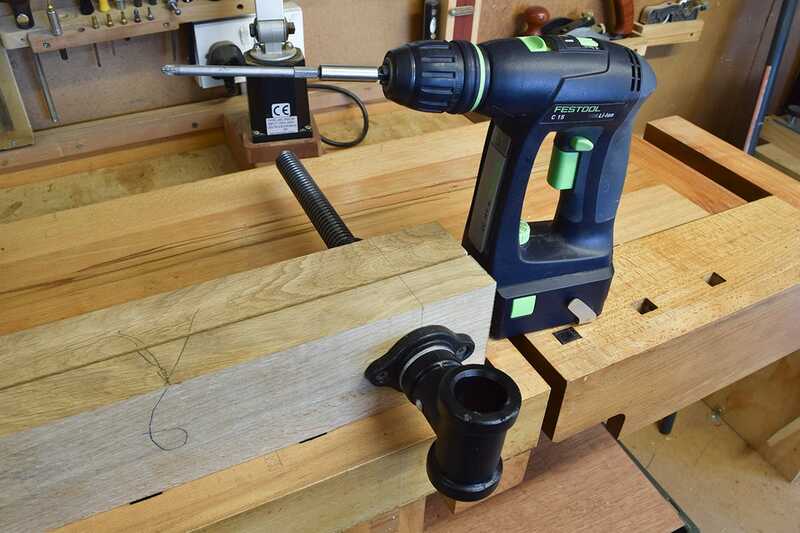 Drill and countersink two 4.5mm clearance holes in each clamping block. Clamp and screw to the rear block. 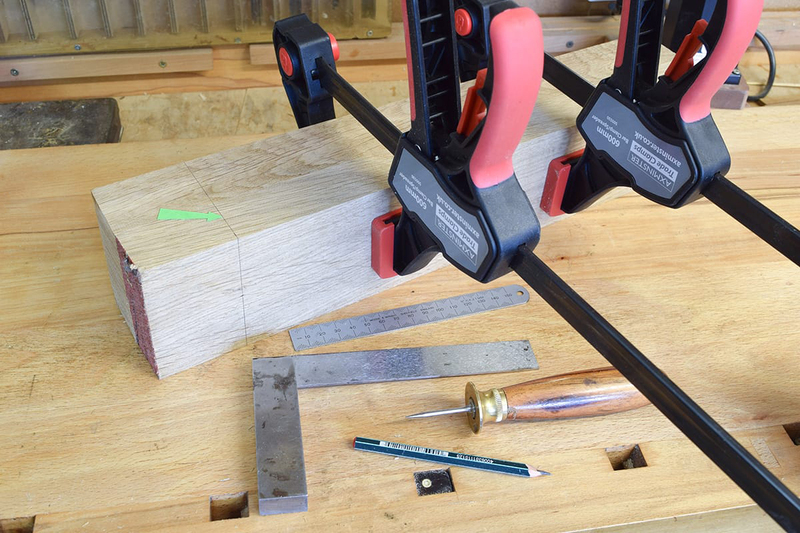 Plane off excess to make flush. 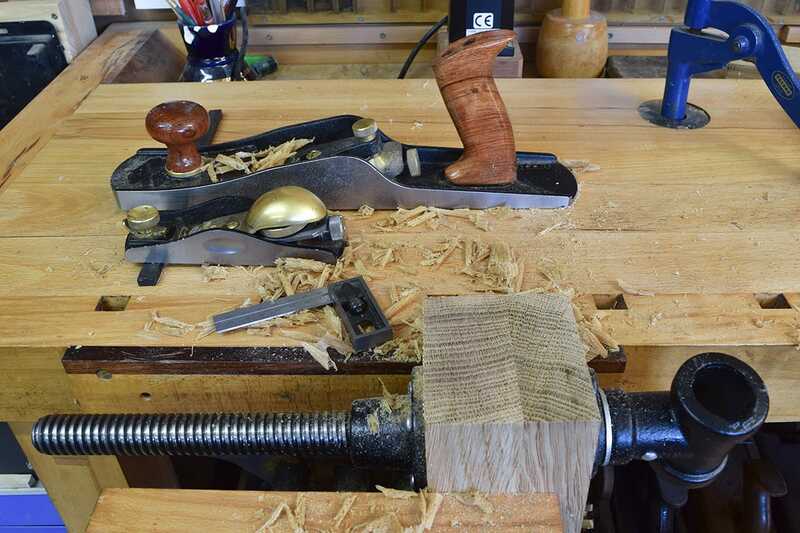 Remove all sharp edges with a block plane. 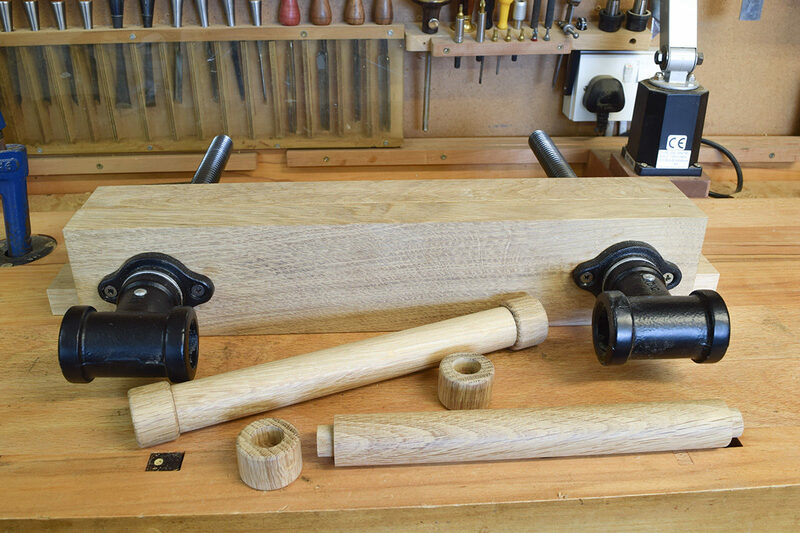 Optional: Use Veritas handles instead of turning some on the lathe. 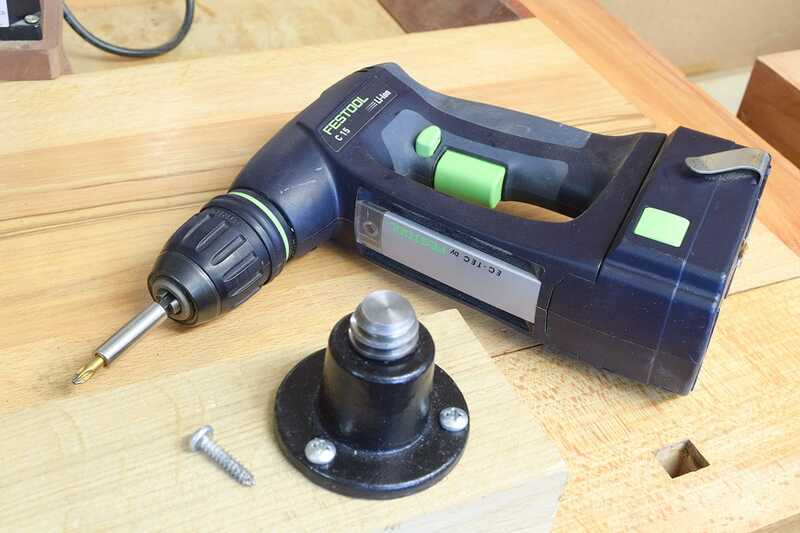 They may need sanding to fit the holes in the screw thread boss. 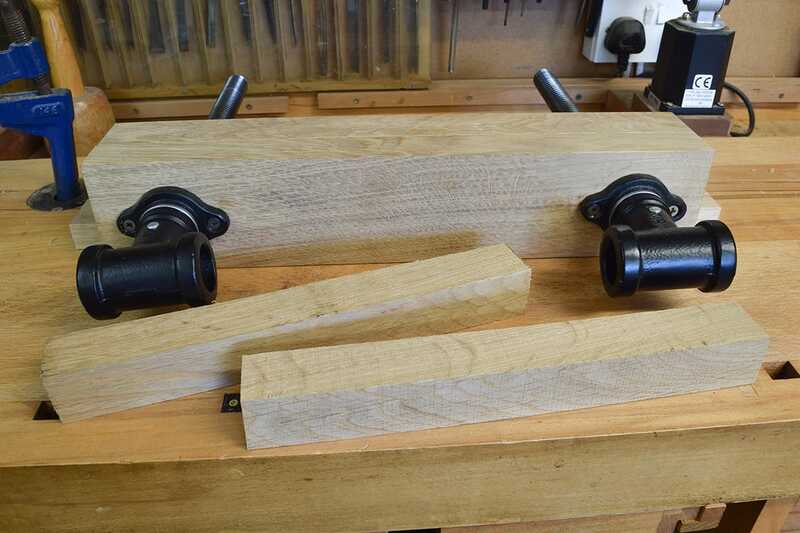 Prepare material for the handles. Two at 330 x 35 x 35mm, one at 160 x 45 x 45mm. 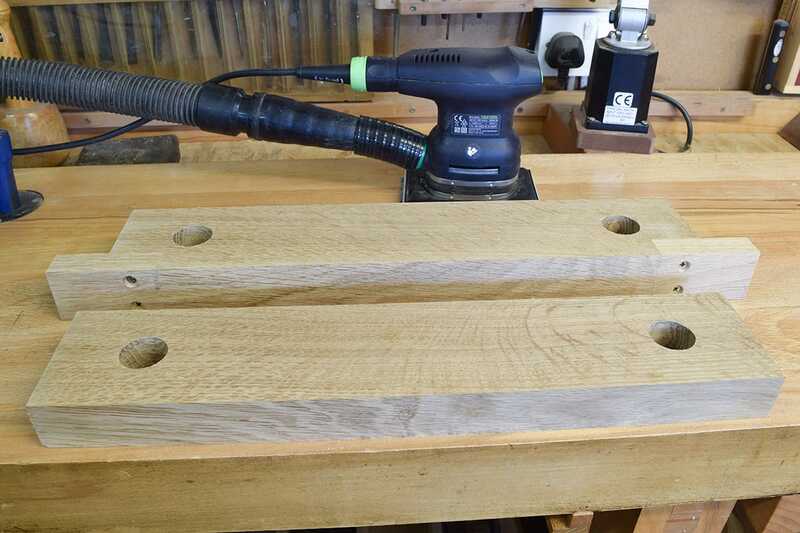 Turn handles to size to fit the holes in the vice boss. Turn 18mm rebate at each end, check with test piece and external calipers. Part off. 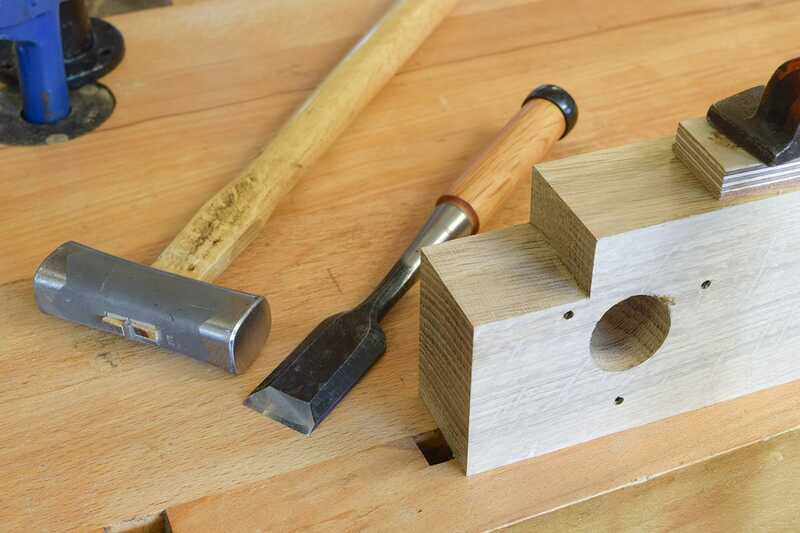 Turn remaining block to 35mm dia, mount in chuck. Make four end caps, with a rebate between each. 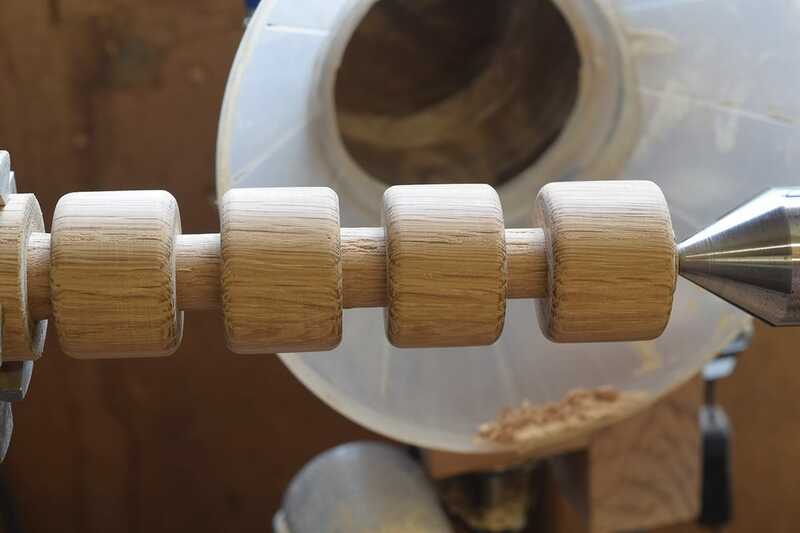 Round the corners on each end cap. Bore an 18mm hole in each cap, part off and clean up. Glue the end caps in place.